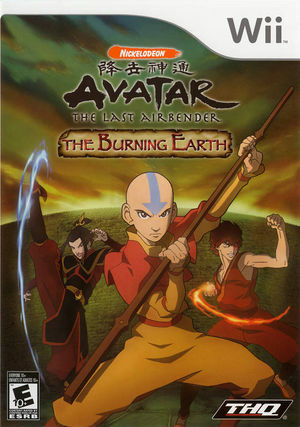 Avatar: The Last Airbender - The Burning Earth continues the epic adventure of Aang and his courageous fight against the evil Fire Nation in order to restore balance in his war-torn world. Based on the second season of the Avatar animated series, players will join Aang and his friends as they master their skills and fight their way to defend the greatest Earth Kingdom city against a deadly Fire Nation invasion. On hardware backends, FMV cutscenes will have frames of corruption. There is no work-around, but if you want to see them correctly, you can use the software renderer. See issue 9236. The graph below charts the compatibility with Avatar: The Last Airbender - The Burning Earth since Dolphin's 2.0 release, listing revisions only where a compatibility change occurred. This page was last edited on 12 August 2018, at 18:24.